There’s a problem lurking around Missoula, but you can make a difference this week. Cyrptocurrency operations (such as Bitcoin), which consume astronomical amounts of energy, are circling the area looking to setup shop in order to exploit region’s cool climate and low-cost hydroelectricity. These facilities can disrupt neighborhoods with their noisy operations, increase electricity rates due to costly infrastructure upgrades, and set back efforts to mitigate climate change by consuming huge amounts of dirty fossil fuel energy. These harmful outcomes will only get worse as more facilities flood in. 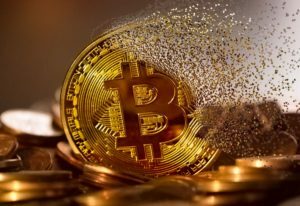 This Thursday, June 14th the Missoula Board of County Commissioners will rightfully consider placing a one-year moratorium on new Bitcoin facilities from locating in the county until the ramifications of this precarious industry can be fully understood. Please attend and give public comment in support of the moratorium if you can, or submit comment on the county’s website here. MORE INFO: See the County’s webpage dedicated to the hearing. Can’t make it in-person? Submit comments online here. For more information about cryptocurrency and Bitcoin, including what they are and the climate change problems they create, see these two articles from the New York Times and Grist Magazine.